I love the website and once I get my 80's spectrum and/or JP Weigle built up I'll send some pics. I didn't notice any fat chance in there, this one is actually Serotta-built, but still a nice example from about 1997 or so. 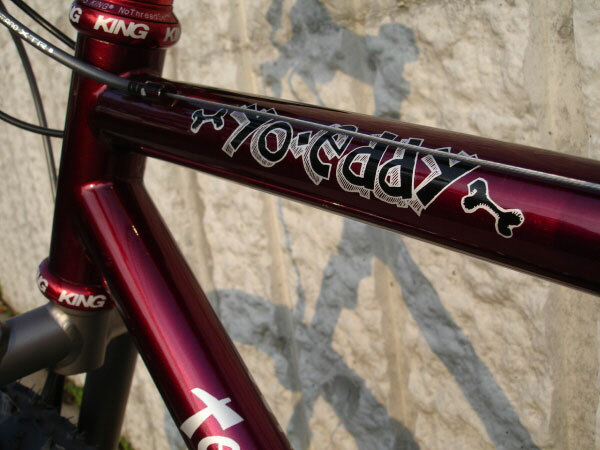 1997 Fat Chance Yo Eddy team in black cherry. This was built in the Serotta factory under those contract years. 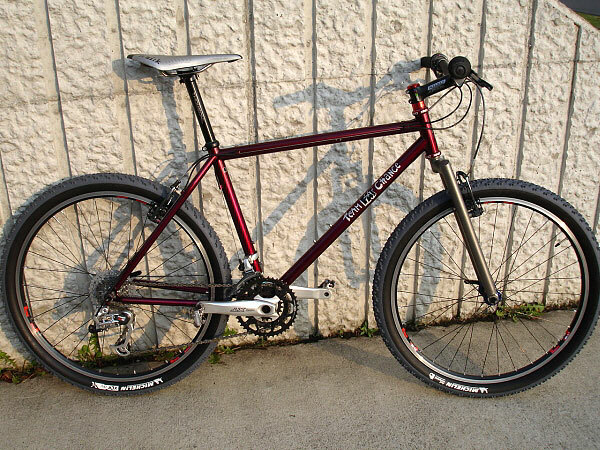 Was probably specd with suspension originally, but I opted for rigid spicer titanium fork, suspension-corrected geometry. Perfect balance of stiffness for carving single-track, but there is a very noticable give to the fork to smooth out the semi-rough stuff. 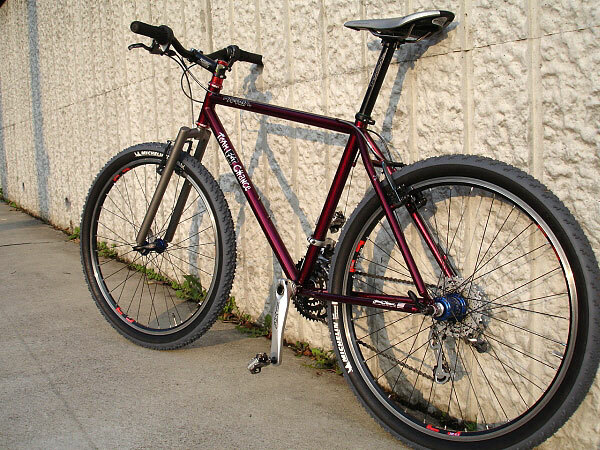 Built with mixture of newer XT/XTR and Sram X.0 shifting. 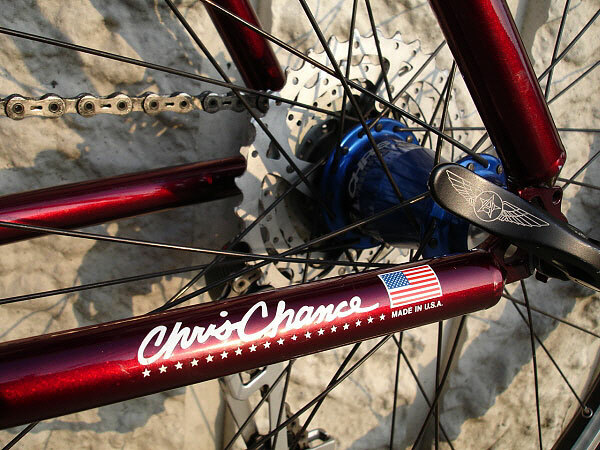 Chris king hubs on DT swiss rims, traditional lacing. Makes for a very light, flickable climbing bike. 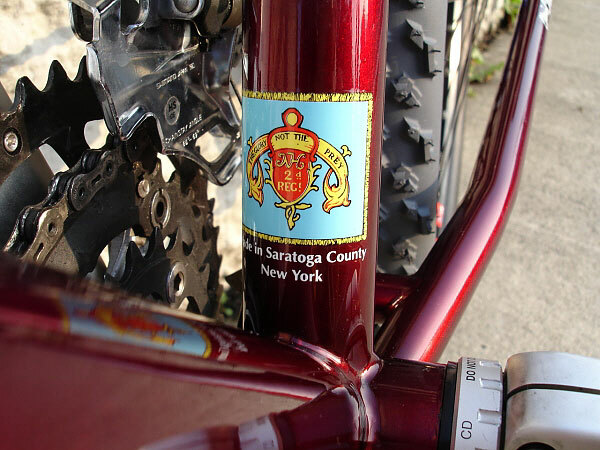 Born and bred for the East coast type of riding that I hope to return to soon.